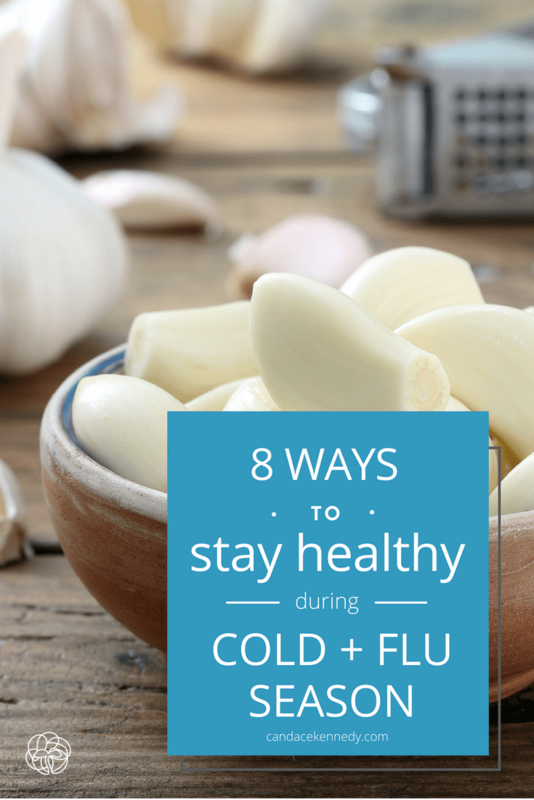 Looking for natural cold remedies and flu fighters? Look no further. Cold and flu season can be dreadful. The general malaise, runny nose, fever and other undesirable symptoms associated with colds and flu can leave you bed-ridden, irritable, and make you a social outcast while you recover. I should know, as I used to get several every year, even after getting the flu shot. But thank goodness it doesn’t have to be this way. I no longer get the flu shot, and (knock on wood), I haven’t had the flu in years. Instead, throughout the year, I take measures to keep my immune system strong. Some of those things include eating a low-carb, anti-inflammatory diet, getting plenty of sunshine (but not too much), managing my stress levels, and moving my body throughout the day. These are all great. But what if you’ve been exposed to a bug or start to feel symptoms coming on? Turn to my cold and flu-fighting protocol. These natural cold remedies and flu fighters can give the immune system the extra boost it needs and help you thrive throughout cold and flu season. Here are a few of the things I’ve personally tested and swear by. They also happen to be backed by solid research. The best way to eat garlic is raw. 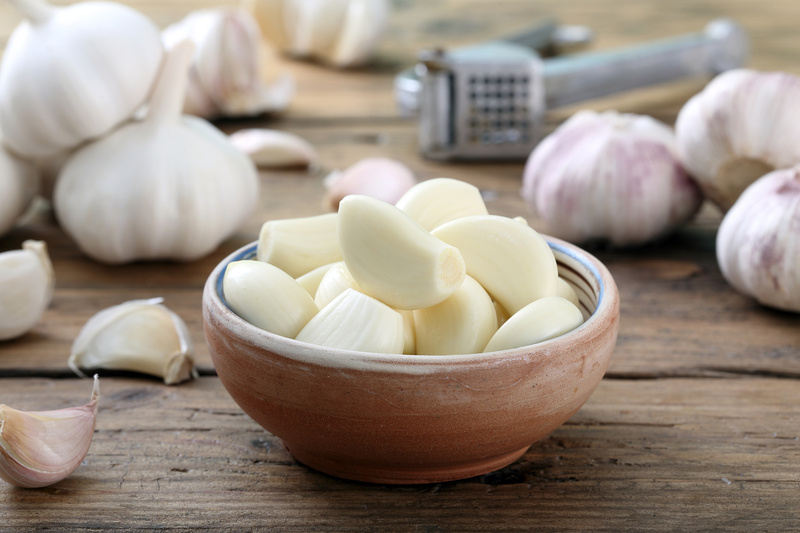 Heating or drying garlic can drastically reduce garlic’s amount of allicin, the main bioactive ingredient. Eating raw garlic can be tough, with it’s strong, pungent flavor. I find it easier to eat more raw garlic by making this an immune-boosting broth. Here’s what you do. Warm up your bone broth. Then add in five cloves of minced, raw garlic, 1/2-1 teaspoon ginger, and 1/4 teaspoon turmeric. Sip slowly. Maybe make your significant other drink it too so there’s no complaining about garlic-loaded kisses. Say hello to a new kind of deliciousness! And, of course, the amazing immune-boosting powers of mushrooms. I’m looking at you, chaga. This bad boy can stop colds and flu in their tracks. 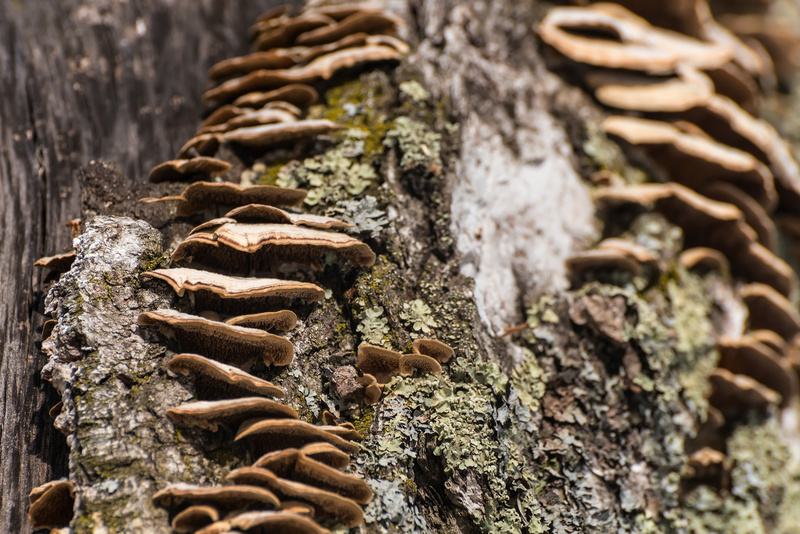 Chaga has antiviral, antimicrobial, and anti-inflammatory properties. [3a, 3b] It has a multi-directional effect on the immune response. This means that if your immune system is under-active, it will give your immune system a boost. If it is hyperactive, in autoimmune conditions, for example, it can help bring your immune system back to normal levels. This mushroom is often referred to as the “Black Gold of the Forrest,” and contains large amounts of the antioxidant, superoxide dismutase. It may sound like one of the villains in an X-Men movie, but it is one of the most important antioxidants in your body. You can order raw chaga online or, you can try my favorite way to get this mushroom. Mushroom coffee! Wait, wait. Don’t lose me, here. I was a skeptic for a long time. Then, last year at Paleo(fx), I had the pleasure of tasting mushroom coffee for the first time and, holy moly, I am so glad I did. It has such a smooth, rich flavor and doesn’t taste like mushrooms at all. Instead, it is my new favorite-tasting coffee that I crave throughout the day. I like to drink mine with coconut milk, Ceylon cinnamon, and collagen protein powder. My favorite immune-boosting mushroom drink blends are the Chaga and Cordyceps Mushroom Coffee and the Reishi Elixir. Can’t go wrong with either. When you’re sick (and when you’re healthy, for that matter), try to get 15-20 minutes every day of as much sun exposure as possible (arms and legs exposed). You can also supplement with vitamin D3. I like to take D3 & K2 , as vitamin K2 helps your body make better use of D3. When I’m sick, I take 10,000 iu or more of vitamin D per day. Oregano is a powerful antibacterial and can inhibit the growth and spread of many pathogenic bacterial strains. Studies suggest that oregano is even effective against some multi-drug resistant pathogens including Pseudomonas aeruginosa and E. coli. Oil of oregano has an antioxidant capacity similar to that of vitamin C, so it’s effective at fighting free radical damage. Its antibacterial properties are mostly tied to its high carvacrol content, an antibacterial that is active on its own. Add a drop or two to a bath. Yes, you may come out smelling like pizza (this stuff is STRONG), but it’s worth it to keep colds and flu at bay. Zinc is arguably the most important mineral for proper immune function. This mineral, especially in combination with high-dose vitamin C can relieve cold symptoms quicker and help you get over a cold faster. Studies show that zinc is especially effective at reducing the duration of a cold if taken within the first 24 hours of symptoms and then, throughout the duration of a cold. If you’re deficient in this mineral, supplementing with zinc may keep you from catching the flu or a cold. When I feel a cold coming on, I take 15 mg of zinc picolinate or zinc gluconate every 3 waking house for 3 days (don’t exceed 100mg/day). Avoid the lozenges that have sugar, citric acid, sorbitol or mannitol. These ingredients can prevent you from absorbing zinc. 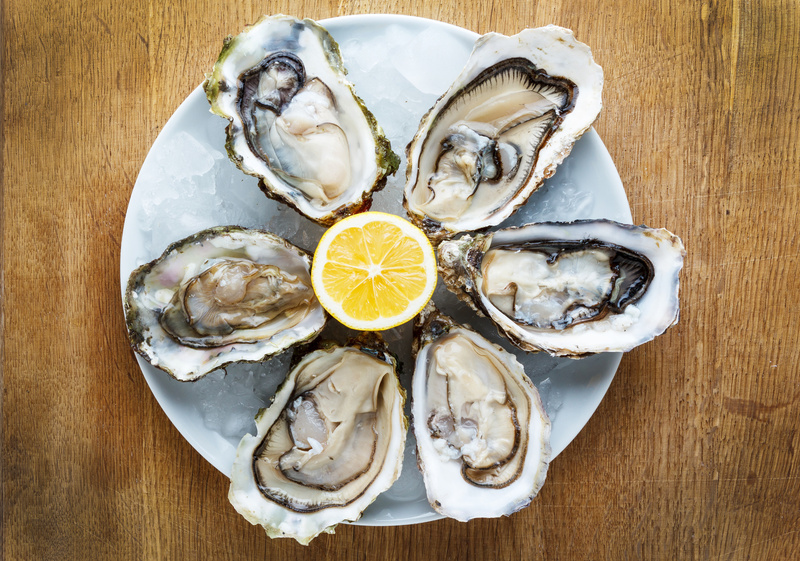 You could also eat a lot of oysters, as they’re one of the best sources of zinc. However, oysters just don’t sound that appetizing when I’m sick, so I usually stick with the supplement form. Another important note: It’s important to keep zinc and copper in balance, so if you start taking large quantities of zinc, balance it out by eating copper-rich foods.The good news is, dark chocolate is a great source of copper. (Try some dark chocolate and oysters — boost your immune system and possibly your libido, at the same time!). It can help heal inflamed mucus membranes. Research shows that even a mild vitamin A deficiency can make you more susceptible to illnesses including respiratory infections and colds/flu. Studies show that beta carotenes, powerful antioxidants that can convert to vitamin A in your body, can lower inflammation and stimulate white blood cell functions. Finally, your skin is one of your body’s first defense mechanisms for keeping bacteria and viruses out of your system. Vitamin A plays a key role in skin health and integrity. It’s also important for wound healing. Liver from any animal, especially beef liver. If that doesn’t sound appealing, you can take liver in pill form. 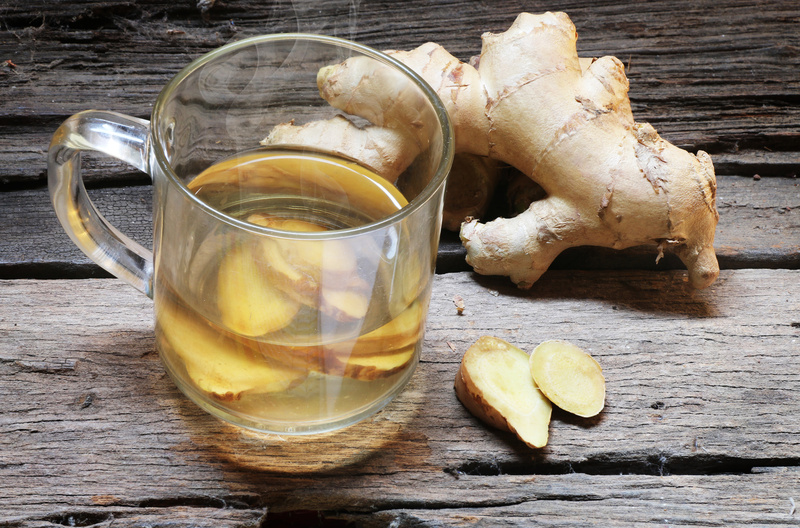 Ginger is a powerful anti-viral and antimicrobial. It is great for boosting the immune system. It is also effective at reducing inflammation. Cultures around the world have used ginger for thousands of years to alleviate ailments and pain ranging from colds and nausea to arthritis and migraines. The main bioactive ingredient in ginger is 6-gingerol, but it also has other important antioxidants including quercetin and curcumin. Throughout the winter, I make a big cup of lemon, ginger tea. It’s easy. Just warm up some water (not hot! ), and add juice from half a lemon (about 2 tablespoons), and use a micro-planer to shave off about an inch of ginger (the equivalent of 1 teaspoon). You can also add a dash or two of cayenne pepper. If you’re not used to ginger’s strong, spicy flavor, ease into it and start with a smaller amount. It’s a warming drink that immediately clears my sinuses. I also sometimes add 1 teaspoon of fresh, grated turmeric, for an extra immune boost. You can drink this preventatively, and especially, at the first sign of illness. Vitamin C deserves a place on this list, but not the starring role that the media and supplement manufacturers give it. Immune cells require vitamin C to function. This nutrient also supports and enhances the actions of neutrophils, a common type of white blood cell that responds to infections and directly attacks bacteria, along with other types of foreign invaders. Many studies show that vitamin C is not promising when it comes to reducing the frequency of colds in the normal population. Vitamin C only seems to be effective at decreasing the risk of contracting a cold in athletes and those under extreme physical stress. Liposomal forms are best. I like Optimal Liposomal Vitamin C and Solaray C Two-Stage Timed Release Vitamin C .
And one more thing. Another great way to get over a cold is to limit your carb and sugar intake. Carbs and sugar can feed the bacteria that are making you feel sick. Studies show that drinking sugary drinks and eating higher-carb foods can greatly reduce the white blood cells’ ability to kill bacteria. [23, 24] So skip the carbs and sugar and go for more quality fat, protein, and vegetables. Have a cold or the flu and confused about what to eat? Get your FREE 5-Day Cold and Flu Meal Plan to give your body the nutrients it needs to feel better faster. What are some of your favorite natural cold remedies and recipes for beating the flu? Let me know in the comments below! Cheers to a healthy and happy fall and winter season! I am not a doctor, and I don’t claim to be one. I can’t prevent, treat, cure or diagnose illness or disease. The information presented on this website is not meant to replace a one-on-one relationship with a qualified health care professional and is not intended as medical advice, treatment or diagnosis. The purpose of this website is to share knowledge from my research and experience. I encourage you to make your own decisions regarding your health care based on your own research and relationship with your health care professional. Maggini, S., S. Beveridge, and M. Suter. “Result Filters.” National Center for Biotechnology Information. U.S. National Library of Medicine, 2012. Singh, M. “Result Filters.” National Center for Biotechnology Information. U.S. National Library of Medicine, 2013. Prasad, AS. “Result Filters.” National Center for Biotechnology Information. U.S. National Library of Medicine, 2007. Balch, Phyllis A. Prescription for Nutritional Healing: A Practical A-to-Z Reference to Drug-free Remedies Using Vitamins, Minerals, Herbs & Food Supplements. London: Penguin, 2011. Print.